At Hluhluwe it was pouring and we arrived at the Hill Top Camp and were supposed to check in and immediately leave for a game drive. Most of the Fundis (experts) were exhausted and didn’t want to venture out in pouring rain as we all wondered whether there would be any possibility to see any game. However, some of us were enthusiastic enough and we ventured out after a quick bite into the jungle and begin the more adventurous part of our trip. Before grabbing a quick bite at the hill top camp we went to our rooms to leave the luggage and it was one of the finest rooms and like many I was in a dilemma whether to have a good night’s sleep or venture out. The Hill Top Camp is located on the summit of a forested hill and offers fine viewing of the country side on a clear day. 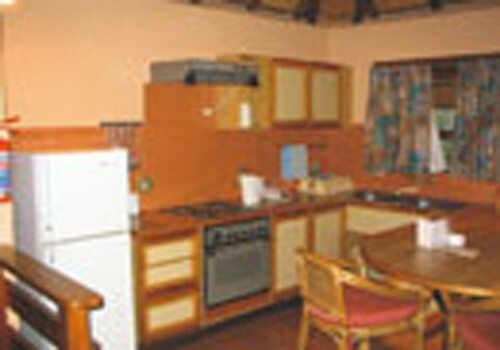 The camp is one of the oldest in Kwa Zulu Natal and was extensively rebuilt in the early nineties and today offers a wide variety of lodging facilities from a nine-bed lodge to a variety fo superbly appointed self catering accommodation. At the Hill Top it was the first time we were sharing an accommodation and we were fortunate to have checked into a 4 bedded chalet with a fully equipped kitchen adjacent to a sitting room at the first level and a balcony alongside. The two twin bedded rooms were located on the ground level and we all terribly missed our families back home as this would have been an ideal place to spend a couple of days in a wonderful chalet with a picturesque view. Unfortunately we were to spend just one night at this property where we were supposed to have two game drives one late evening and the next early morning before heading to Phinda, the private luxury lodge around 4 hours away from Hluhluwe. Before venturing out for the late evening game drive, I looked around the lobby area and found out that Hluhluwe is one of the largest game parks in South Africa and is renowned for the big five i.e. the lion, the leopard, the rhino, the buffalo and the elephant as well as the elusive cheetah as well as many well know bushveld species that inhabit the park. The park covers 96000 hectares and comprises of three reserves Hluhluwe and Imfolozi as well as the Corridor Reserve. One of the famous sights is undoubtedly the white rhino which is so popular that tourists travel from across the globe to see the rare white rhino at Hluhluwe. We were around 6 of the Fundis who gathered enough energy and optimistically decided to venture out in the wild in one of the open 4×4 vehicle. We were first asked to wear a raincoat so that we would not be fully drenched and within a few minutes we entered the park in pitch darkness. There were three rows in the 4 x 4 vehicle and one on either side had to take turns to hold a spot light so that we could see some of the animals. After a 10 minutes drive we all were envying the ones who had backed out as it was pouring and there was hardly anything that we could see. Suddenly we spotted a long reptile walking across and the vehicle came to a halt and we were lucky to spot almost a 15 feet long crocodile trying to find its way to the nearest swamp. Our eyes lit up and we were hungry to see more and it raised our level of optimism. Not too far off we saw two sparkling eyes behind a bush and as our vehicle went closer we found out that it was a predator – a cheetah trying to look probably for a Nyala or a Kudu or a Wildebeest. Then we saw a whole herd of Wildebeest and all the fatigue that we had on reaching Hluhluwe appeared to have vanished in the darkness of the reserve. In the silence of the night, we could hear the frogs croaking, the rain falling and forming puddles of water and the birds humming to welcome the rains. We were so glad that we did go for this drive and after returning back to Hill Top, the next morning we were up again to go for an early morning drive after a short nap of around 4 to 5 hours. In the morning we were highly optimistic of seeing one of the big five and we narrated to our colleagues of what they had missed out the previous evening. It was a very picturesque drive in the morning and though it wasn’t pouring it was cool enough for us to be cosily tucked in our raincoats. We spotted a few rhinos, one of them being the white rhino and on the horizon we saw three elephants. What we were missing was a good pair of binoculars which I would highly recommend to anyone planning to visit South Africa or any other game reserve anywhere in the world. A pair of binoculars is a must and we all had to take turns to see through the binoculars that the ranger had carried with him. Soon we returned back to Hill Top and although the drive was picturesque we were not as lucky as the previous night where we were fortunate enough to spot more animals. After breakfast we were a little disappointed to leave such a lovely property as we all would have loved to have spent more time at Hill Top. However we were glad to know that our next stop was Phinda – one of the most luxurious private game reserve in Southern Africa and we were looking forward to reaching Phinda to continue our expedition into this world renowned game reserve. 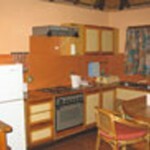 Phinda is one of the CC Africa property which is situated in Maputaland, the northern part of Kwa Zulu Natal. The 14000 odd hectares of Phinda have been restored by the introduction of large mammals and also ensuring employment opportunities to the locals. As Phinda has grown it has led to the development of eco-tourism in this area and all this has been supported by the Africa Foundation. In addition to exciting game drives in open vehicles, guided walks and boat trips are also organized by the authorities at the various properties in Phinda. Phinda is an award winning property which has won the Imvelo Award in 2002 which illustrates the commitment to responsible tourism and to showcase the economic, social and environment achievements. Phinda was ranked as the overall winner in 2002 and has one the awards for the best contribution towards natural environment programme. 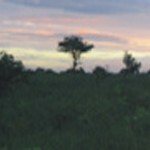 Phinda has taken degraded farmland , and used the area for eco-tourism and generated income for rural communities. The reserve forms the link between private reserves and the Greater St Lucia Wetland Park which is a World Heritage Site. Phinda employs 250 people of whom 80% are local and one employed person supports between eight and ten people. The reserve besides providing direct benefits to the surrounding community has also encouraged entrepreneurial programmes within the region. Phinda is described by many as “Seven Worlds of Wonder” due to its seven distinct habitats comprising of the rare Dry Sand Forest, savanna, woodland and wetland systems, beautiful rivercourses, mountain ranges, marshes and pans all amazing within the 14000 hectares of a wide diversity of flora and fauna. Phinda houses four magnificent lodges known as the Forest, Vlei, Rock and Mountain Lodges – all of which are the members of Small Luxury Hotels of the World. We were to spend one night at the Mountain Lodge which is one of the most dramatic and exciting safari destinations. There are 20 split-level suites crest on the mountain and the lodge is located within the national environs and it is not surprising to see a Wildebeest or a Nyala past by you when you go to/from your lodge to the main lobby and dining area. And that is why all guests are advised to ask for a security guard to accompany them to or from the luxury suite after sunset or before sunrise as who knows you may come across one of the big fives en route to your room. Each suite at the Mountain lodge has a private sitting room and expansive viewing deck and it is difficult to leave the seductive comforts of your room. Those who want to reach Phinda can access it by road from Durban as it is around 3 hours from Durban. Alternatively you can fly to Richard’s Bay airport and then take a 1 ½ hour drive into Phinda. If budget is not a criteria then Federal Air operates a direct flight from/to Johannesburg as Phinda has its own air strip and you can have one of the most picturesque landings that you see on a Natural Geographic channel or the Animal Planet channel on television where your plane lands in between the forest area and you can see the zebras and wildebeest running alongside the air strip as if to welcome you to one of the finest game reserves. Phinda Airwing can also arrange private charters from anywhere in South Africa directly to the Phinda air strip. Coming back to the Mountain Lodge, each lodge is equipped with a en suite bathroom, bath, shower, separate w.c, and through your bathroom you can see the wild nature as you are separated by a thin sheet of glass which gives you the most picturesque view of the forest. Each room within the suite is so tastefully designed that you would want to spend an entire day admiring each and every aspect of your wonderful room. It is a honeymooner’s delight. Besides the room itself the guest area comprises of living and dining areas , viewing deck, pool, craft gallery, boma and conference room which can accommodate upto 70 delegates. The rates start from 2605 Rands per person per night and can go up to 4065 Rands per person per night which in Indian rupees would be, hold your breath- from approximately Rs 20000 to Rs 32000 per night. So it is a property for the rich and the famous and the rates are all inclusive i.e. it includes not only the super luxury accommodation but also three sumptuous meals daily including all teas, coffees, two scheduled game drives daily in an open 4 x 4 safari vehicle, accompanied by an experienced Ranger and Tracker, interactive bush walks of one hour accompanied by experienced armed Trackers, house wines, local brand spirits and beers, soft drinks, mineral water, laundry service, emergency medical evacuation insurance, VAT and taxes too. In short, it is literally all inclusive and all you need to do is if you have the money just be Phinda and unwind yourself for one of the most luxurious holidays of your lifetime. There is so much more to tell you about Phinda that you would have to wait till the next issue of Opportunities Today . So in our next issue we will take you deep into Phinda and then into the heart of Zulu culture in Shakaland.